NEW YORK, January 29, 2019	(Newswire.com) - 5th Element Group PBC today announced that it would open its first international office in Delhi, India. 5th Element is a global business accelerator that drives growth using frontier tech for good. The company has become a flagship brand in the quest to engage the “bottom billion” through frontier tech solutions and innovative impact strategies that facilitate omni-win value exchanges between investors, corporate brands, NGOs and consumers. The announcement of the launch of 5th Element Group India as a subsidiary company formalizes a letter of agreement that was reached between 5th Element co-founders Jim Van Eerden and Ed Martin with rising Indian business leader Pratik Gauri in December of last year. 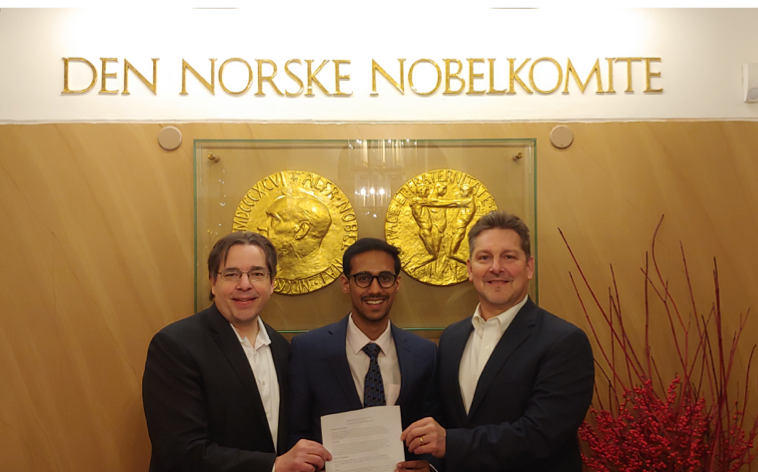 The terms of the agreement were finalized at the Nobel Peace Prize Forum in Oslo, an event for which 5th Element Group was the title sponsor, and the posts about the news went viral on social media including retweets from the Prime Minister’s Office in India. The company also announced its title sponsorship of the Indian Leadership Conclave, scheduled for February 16-17 in Delhi, and named Pratik Gauri as President of the new venture. Gauri is a rising entrepreneurial leader in India, with a large social media presence and reach. He served most recently as Head of Trade Sales in Delhi NCR for Tata Sky, India’s leading direct broadcast satellite television provider. He is a co-founder of a leadership movement called India Needs You (“INY”) that hosts impact convenings in the law, entrepreneurship, and public policy. He has been named a World Economic Forum Global Shaper and a Climate Reality Leader by Al Gore. Gauri shares 5th Element’s vision to deliver corporate and social prosperity through “omni-win” or “shared-win” collaborations, using the UN’s Sustainable Development Goals as a shared language for critical social impact targets. At the heart of this partnership is also a desire to empower women through new business strategies made possible by frontier technologies, and a desire to introduce “good exchange” solutions that will unlock millions of marketing dollars from India-based brands through the engagement of consumers in a manner that unlocks donations to causes that matter to the brand and consumers alike. This model is especially pertinent in India where companies are required to give 2% of their profits to charity. Reflective of its mandate to promote the importance of women in leadership, 5th Element Group India will be launched at INY’s flagship convening Indian Leadership Conclave. The Conclave will host 200 delegates and 35 distinguished leaders in politics, business, academia, and leaders from a variety of industries to engage with delegates in a multi-dimensional dialogue that motivates leaders to reach their full potential in pursuit of solutions to today’s most pressing global challenges. In partnership with 5th Element Group and the Decade of Women, which was launched at the United Nations last March, the organizers also plan to make awards to young women entrepreneurs for their contribution to society and will unveil the first tokenized “Women Of Change” coin to debut a new global coin collection.